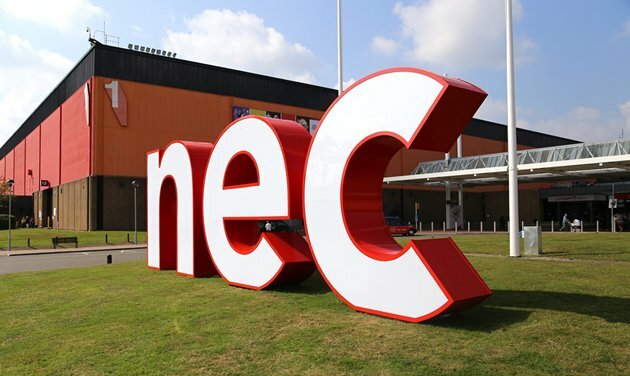 Bites meet Bytes – Birmingham Touchscreen Hire – We hire Touchscreens, Video Walls, IT Equipment & more to Exhibitions Throughout the UK and Western Europe. 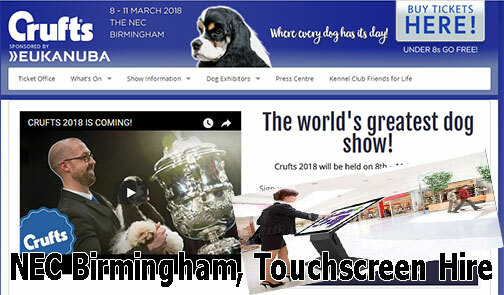 Six 42 Inch Touchscreen Kiosks booked for delivery to Birmingham NEC Exhibition Centre for the prestigious Crufts Dog show. These are being used to showcase a food manufacturers range of products. There is also a small game loaded for fun. This is a great show and if it doesn’t get you in the mood for a holiday – nothing will.